A direct drive, inline-mounted fan designed for exhaust, supply or return air applications where low sound levels are desired. The unit features an insulated, galvanized steel housing with a forward-curved centrifugal wheel. 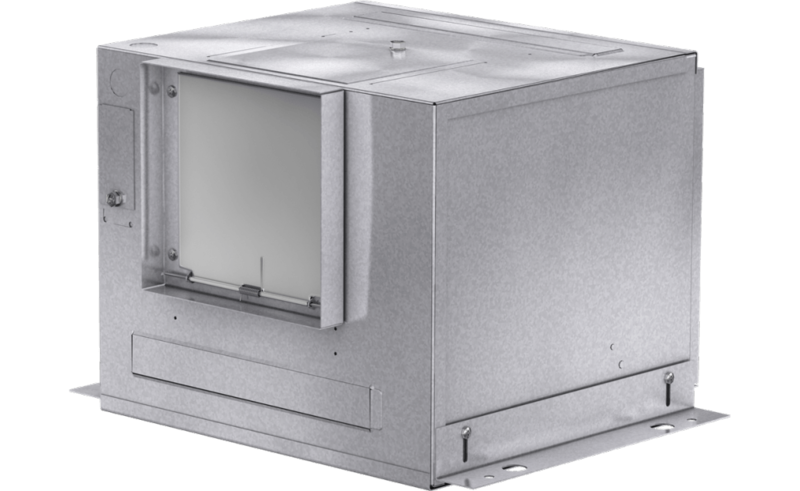 Ideal applications for this model are clean air including intake, exhaust, return or make-up air. The amount of static pressure that the fan must overcome depends on the air velocity in the ductwork, the number of duct turns (and other resistive elements), and the duct length. For properly designed systems with sufficient make-up air, the guidelines in the table below can be used for estimating static pressure. Model CSP inline fans are high performance fans designed for exhaust, supply or return air applications where low sound level are required. 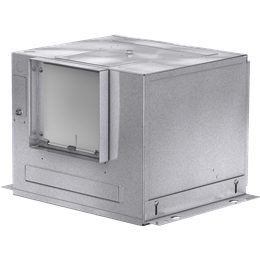 Units feature an insulated, galvanized steel housing with a forward-curved wheel. Model CSP inline fans are high performance fans designed for exhaust, supply or return air applications where low sound level are required. 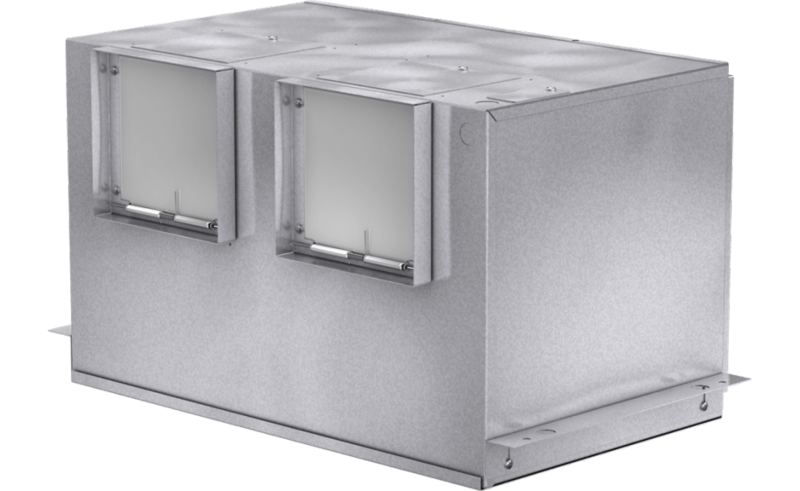 Units feature an insulated, galvanized steel housing with a forward-curved wheel and energy efficient, adjustable Vari-Green EC motors. Describes the size (width x height) of the opening where air is drawn into a ventilator. This dimension refers to the size of the discharge (where air leaves the ventilator) on a particular unit.